Hello! 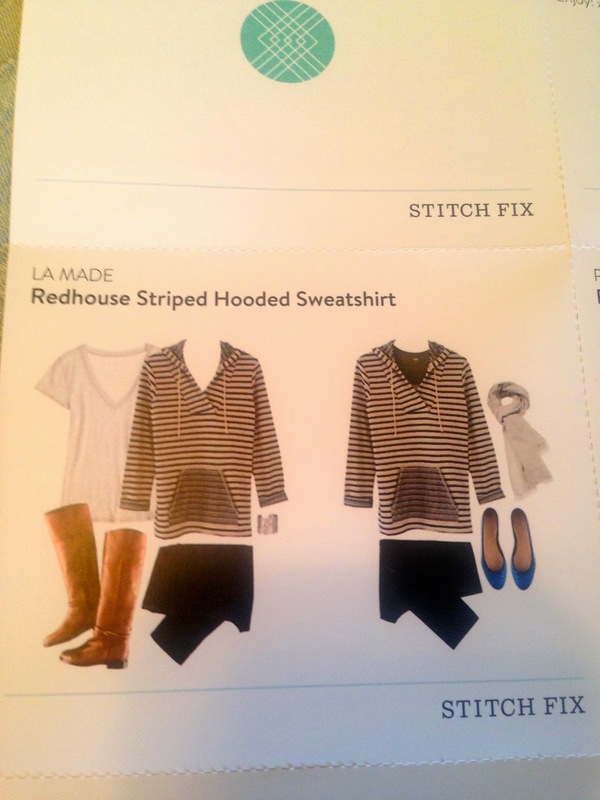 I have my new fall Stitch Fix to show you today. 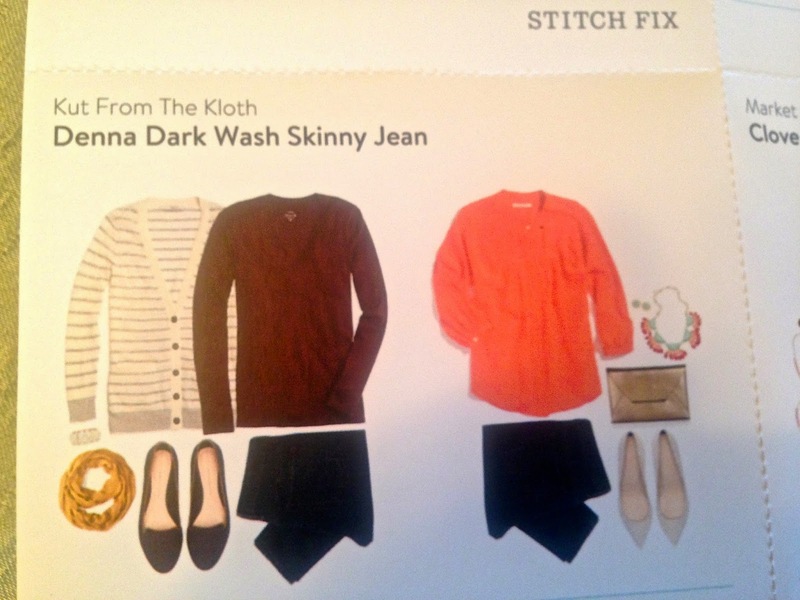 As most of you already know, I like to have the clothing company Stitch Fix 'fix me up a few times a years to keep me from getting in a style rut'. 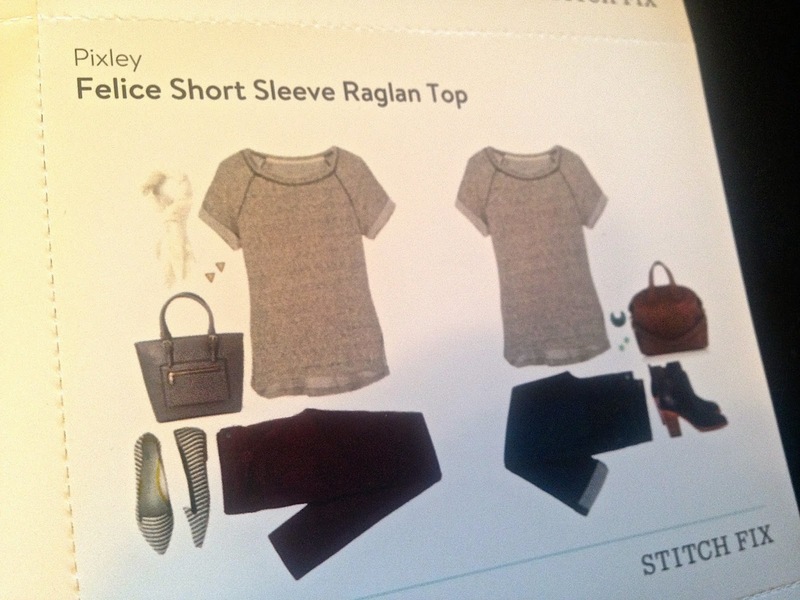 You can read all about Stitch Fix HERE if your new to my blog or this company. My fix arrived a few days before I was to leave on my fall vacation. It was perfect timing because I was able to use everything on my trip. 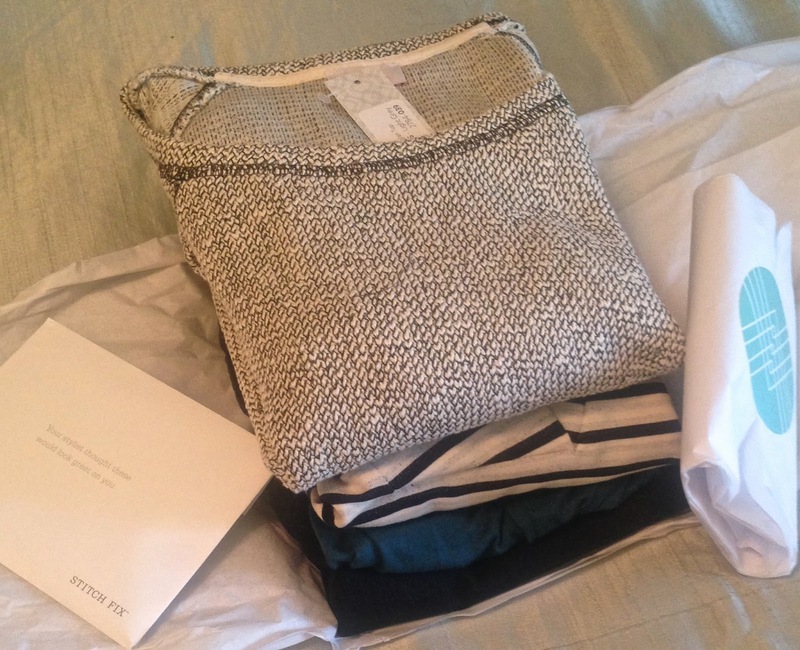 This time I requested some new, trendy fall items and I also requested a specific color. 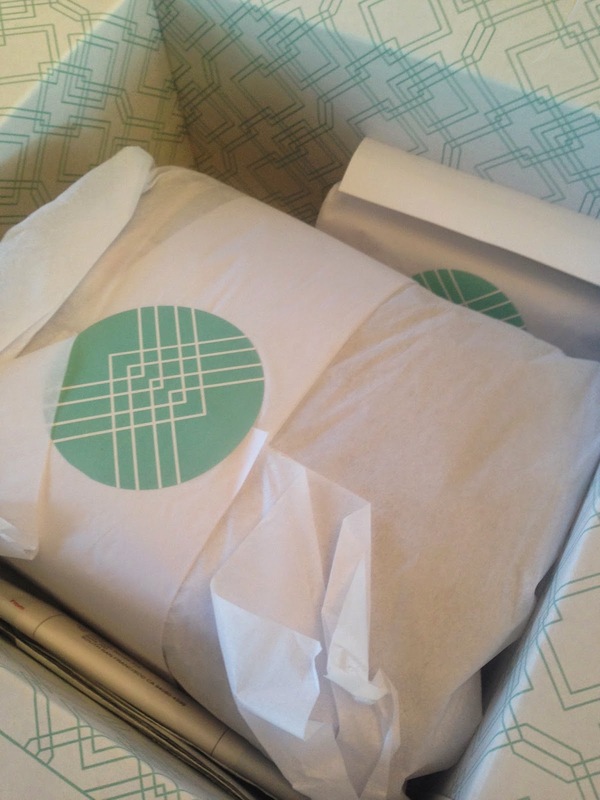 As always, my fix arrived in a pretty little box that I am always so eager to open. It makes my day extra special because I feel like it is my birthday or Christmas, and I have no idea what is inside! This was my favorite item in the fix and I was excited to receive it. 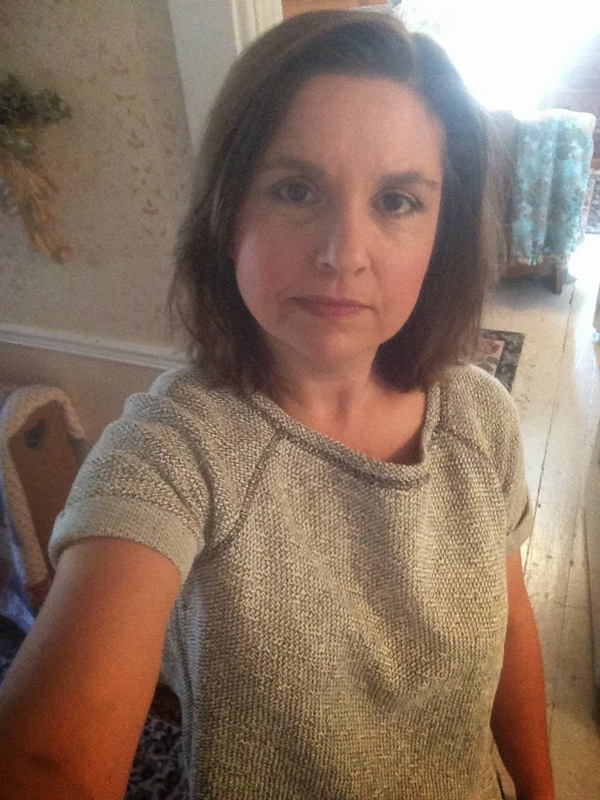 I have been seeing these boxy style shirts on the fashion blogs for awhile now and wanted to try one but I was afraid they would make me look bigger than I already am since I carry most of my weight in my upper body. But when you see the top on me in the pictures below, that wasn't the case. I really love this top. It is so comfortable! 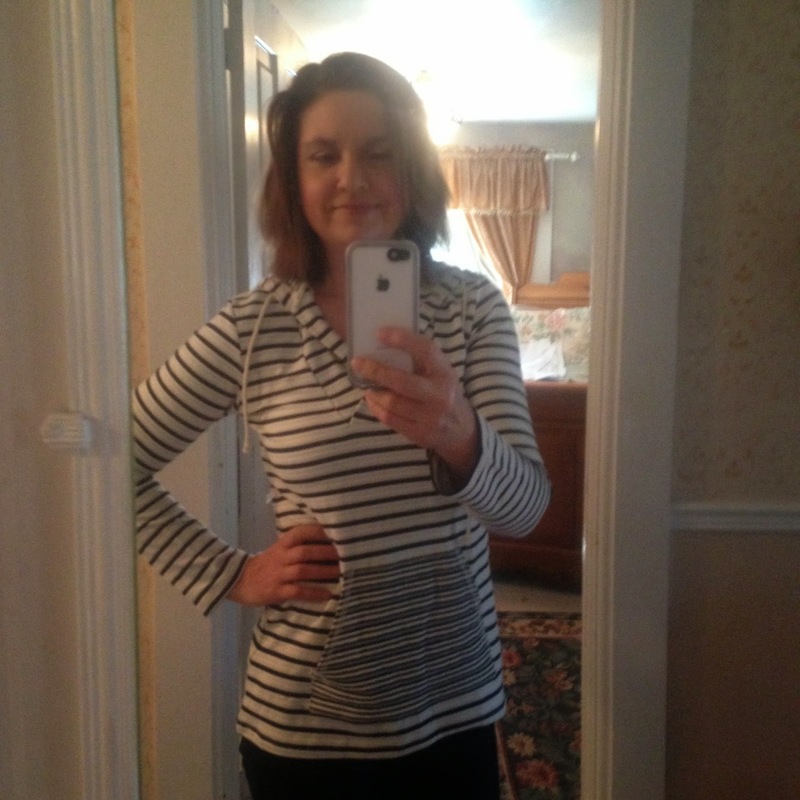 My next item was this striped shirt. At first I thought 'Oh no, I already own three striped shirts! ', but when I tried it on I fell in love. Again, it's so super comfy and the fit was fabulous. 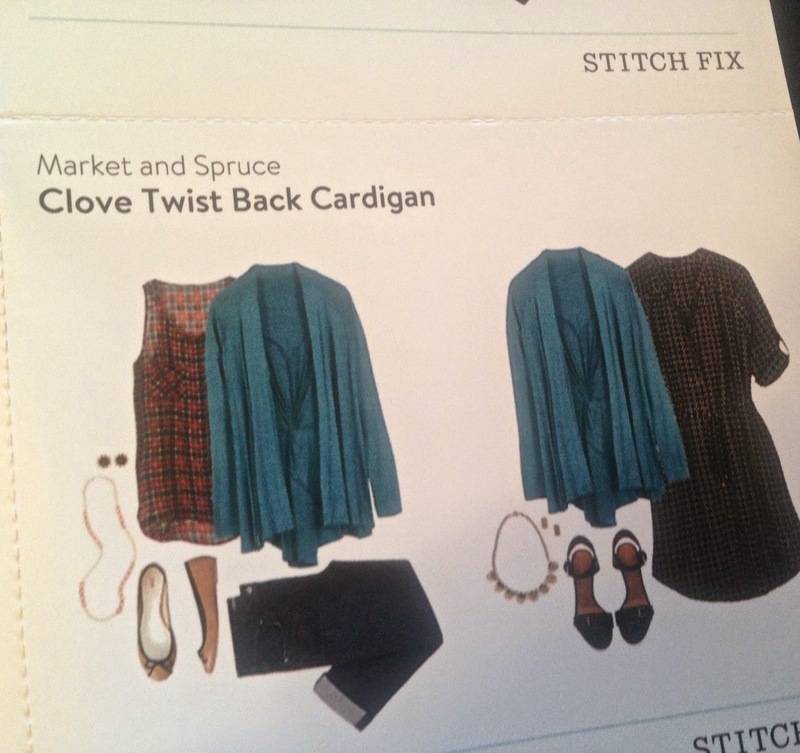 I requested a specific color that I wanted to try in my fix, so my stylist sent me this cardigan. It's a very unique color that I don't have in my wardrobe, and it adds some variety to the typical black, greys, and browns I usually wear all winter long. This was the first time Stitch Fix ever sent me a pair of jeans, and initially I thought 'I really don't need another pair of jeans, I have jeans in my closet that still have price tags on them that I have never worn.' But again, I put them on, and fell in love. My number one reason: COMFORT! You see the reason I never wear the jeans in my closet is because they are so uncomfortable, but when I put on these pair of jeans, they not only fit like a glove, but they were so comfortable. That is so hard to find in a straight leg jean. 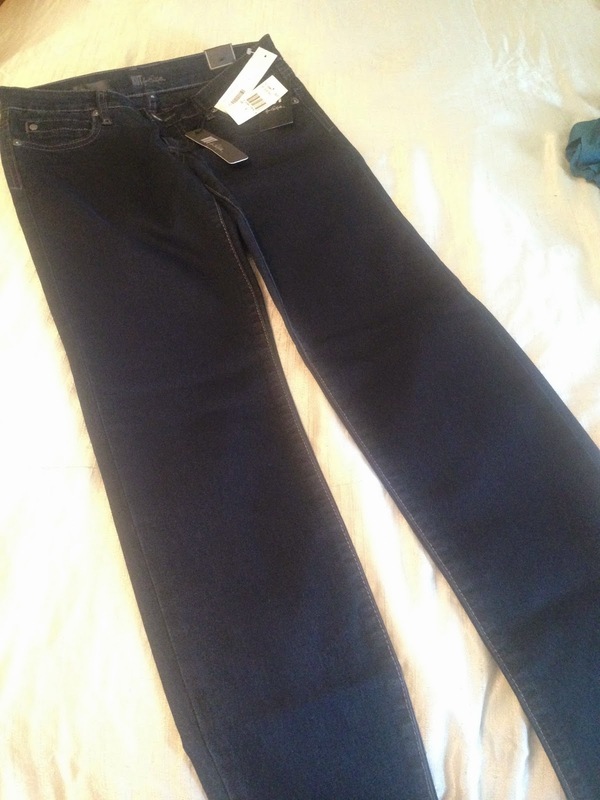 The material is a beautiful dark wash denim, so I can wear them for more dressy occasions, and it is so soft to the touch. They are a tad long in the leg, but I will usually wear them with tall boots or heels, so I don't mind. The last item in my fix was this lovely delicate necklace. I was really happy to see this because most of my jewelry is big and bold and I'm starting to see a swing back towards more delicate jewelry in the fashion world. This was a great new addition to my collection. And as always, a styling card is included with each piece of clothing to show you various ways to wear your new items. I always appreciate these, and I keep them in my dresser drawer for a handy reference. And now here are some quick 'selfies' I took of me wearing these items. You will see all these items again in my travel posts, for I used everything on my recent vacation out west. 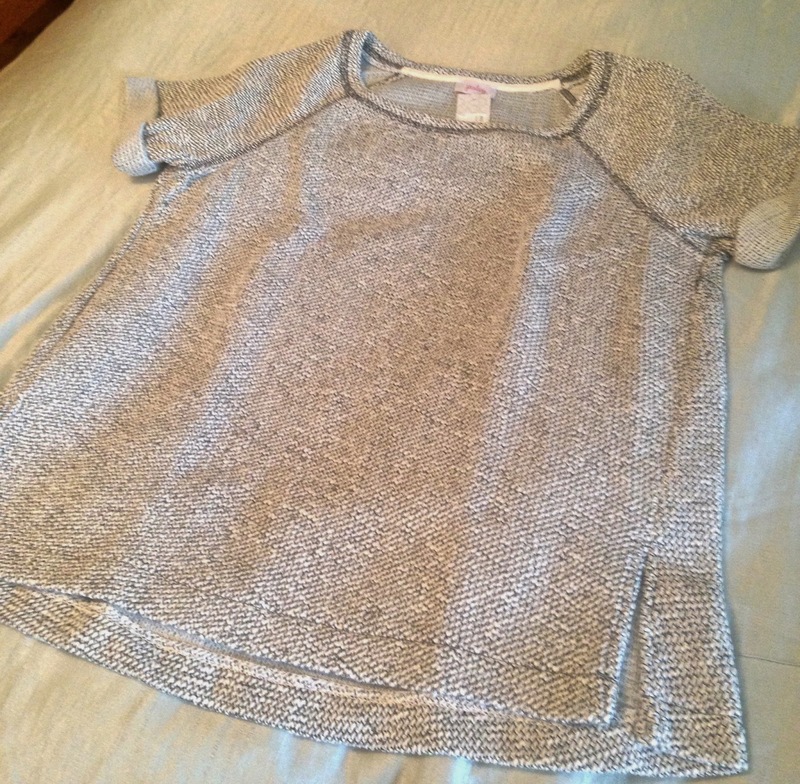 As I stated earlier, this top was my favorite item in the fix. I loved the texture and the boxy cut. 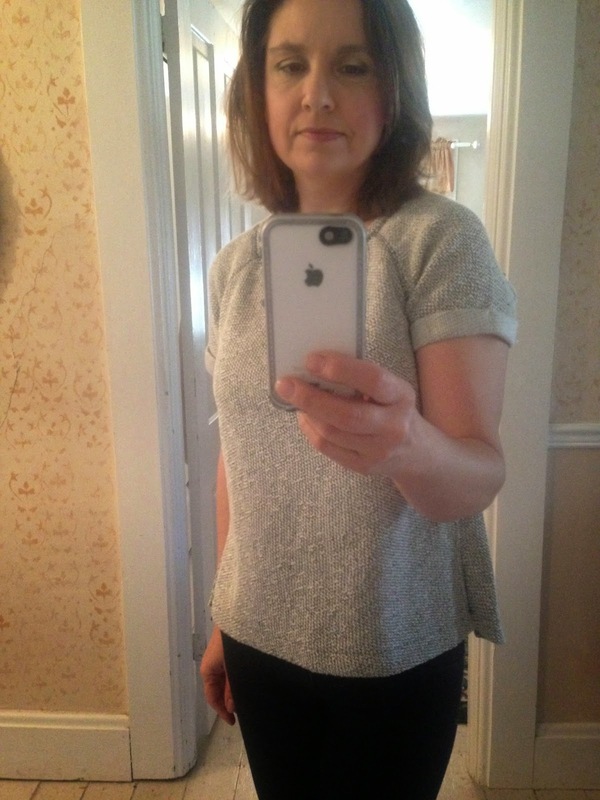 I felt because the top was wider at the waist, it helped conceal my tummy. It is also so soft. Here is a close up so you can see the texture better. My husband did complain on our trip that he didn't like the top because every time he put his arm around me, some fuzz came off on his arm. But, I think that will stop eventually. It's just very new. 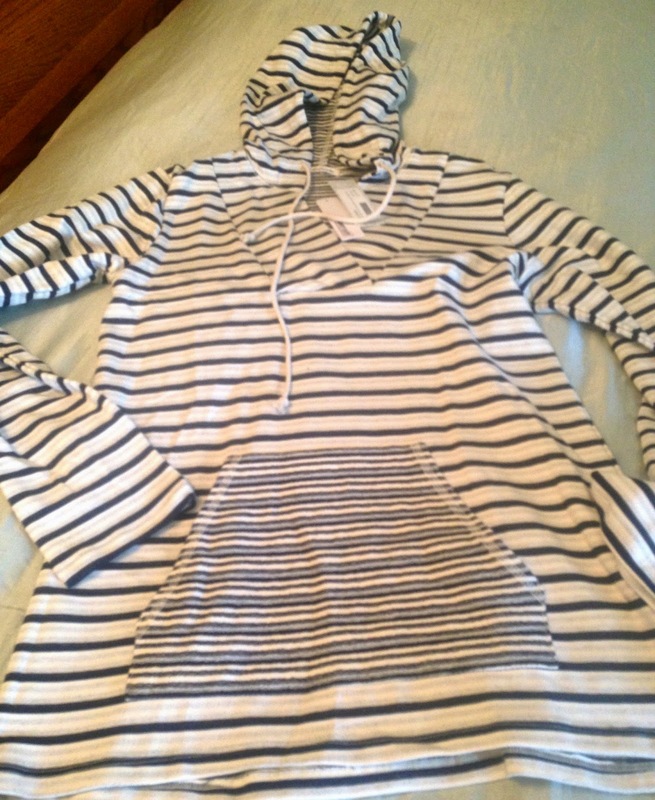 Here's my new striped hoodie. I love the big pocket and the drawstring hood. And again, I love the cut: a little wider in the tummy area to help conceal that middle age expanding mid-section. I also like the longer length for wearing with skinny jeans, and the V-neck opening which is always so attractive for most figures. And finally, here I am wearing the cardigan with my new jeans. 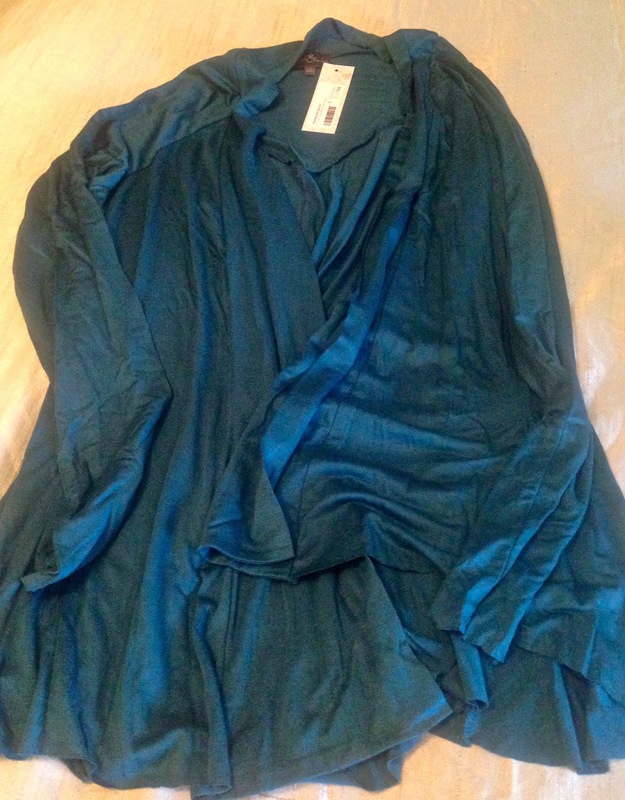 I paired it with another shirt I received from Stitch Fix: an abstract feather print blouse which you can see HERE. 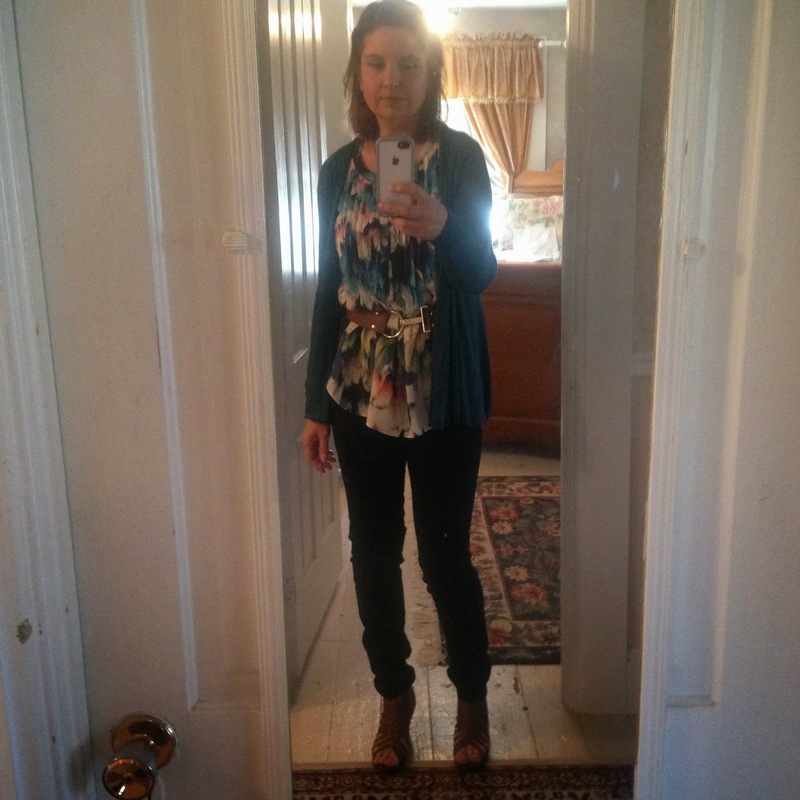 In that post I wore the blouse loosely with a pair of black, cropped pants. 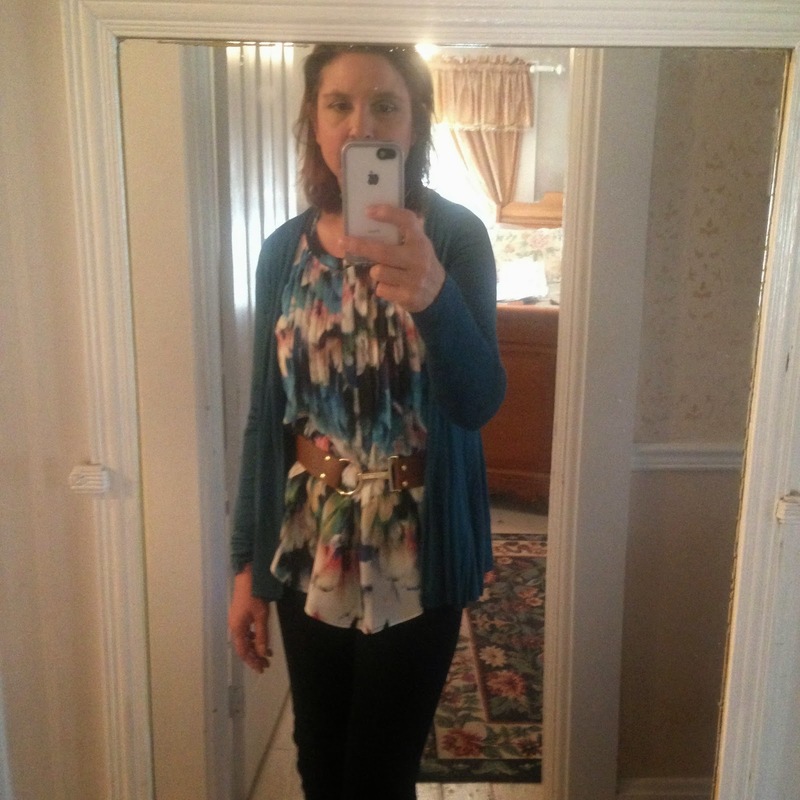 Here I belted it and added the cardigan because the color of the sweater was in the print of the blouse. 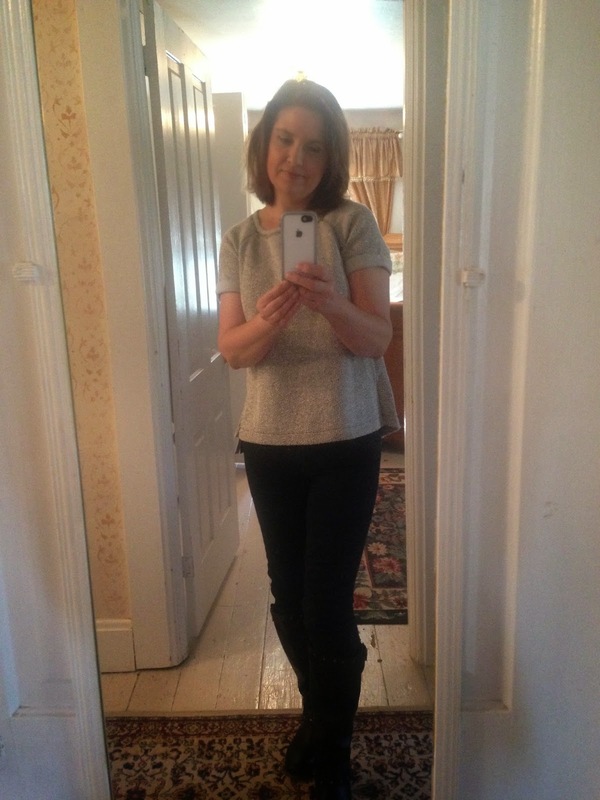 And here is a full length shot of the jeans. They are bunched a bit in the leg in the photo because they are long, but as I said earlier, when worn with heels or boots, they'll be perfect. So do you like my latest fix? Are there any styles you would like to try this fall season? I'd love to hear from you! Looks like you received another set of fabulous clothes. I love the teal color, it's been one of my go-to colors for a few years now. The silver-y shirt looks amazing too! 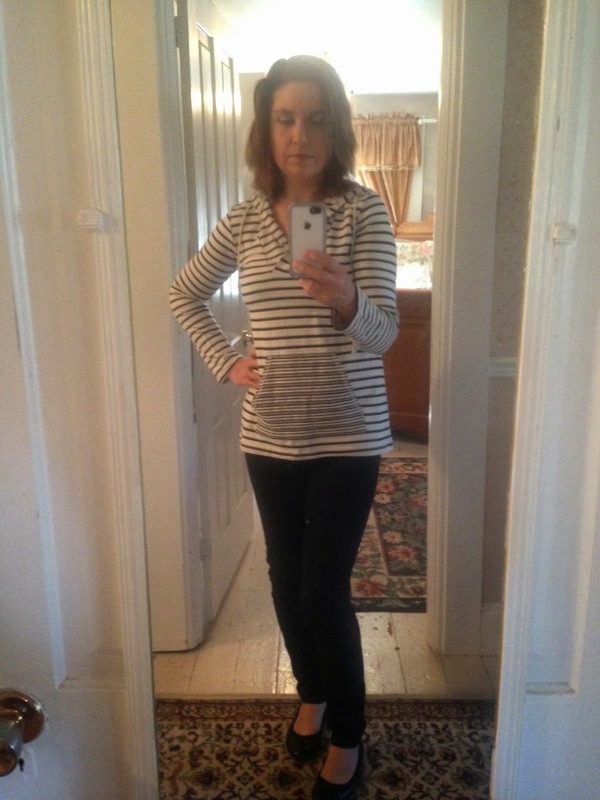 Love the boxy top and the striped hoodie. I love stripes! !